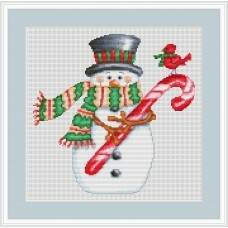 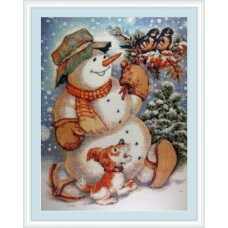 Candy Cane Snowman is a fairly small cross stitch kit of a fun snowman with candy cane. 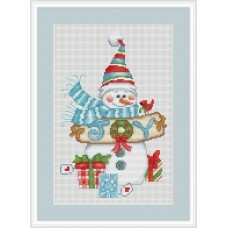 Made with 33.. 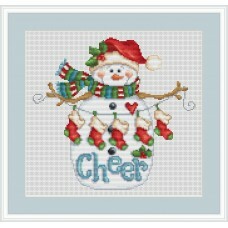 Cheer Snowman is a cross stitch kit of a snowman bursting with Christmas spirit with his stockings, ..
Joy Snowman is a fairly small cross stitch kit of 92 x 144 stitched of a joy bringing snowman with s..
Making Friends is an adorable cross stitch kit of a snowman building a new friend. 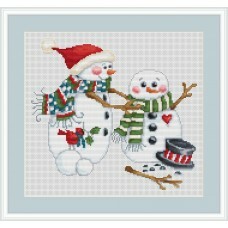 138 x 127 stitche..